Moments after departing Juneau, you’ll enjoy breathtaking vistas seen by few. Thriving rain forests, alpine ridges, and mountain peaks create a dramatic setting for the awe-inspiring Mendenhall Glacier. 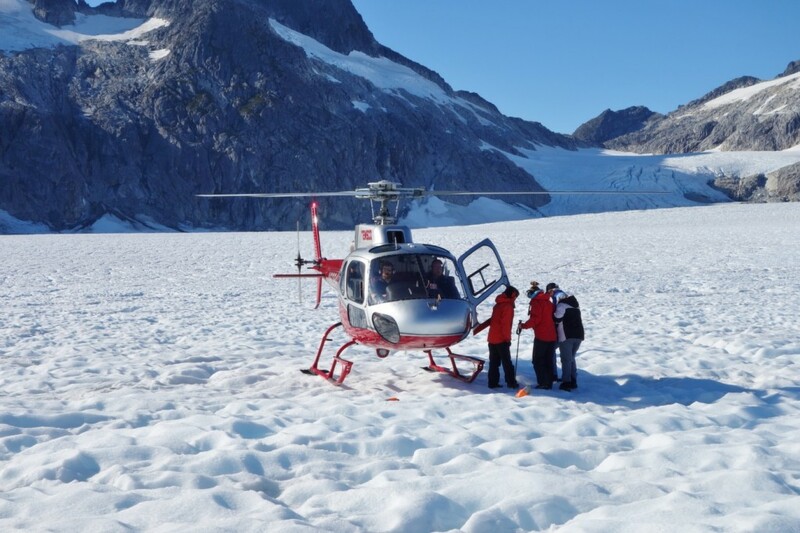 Your flight takes you over the glacier itself; the helicopter’s perspective giving you an eagle’s-eye view of ice spires, deep blue crevasses and meltwater pools. Descending towards our landing site, you’ll fly past the Mendenhall Towers -- rock sentinels that soar to nearly 7,000 feet! A gentle landing brings you to the ice itself, where you’ll explore the glacier’s surface with our highly experienced, expert guides. Bring plenty of film (or a large memory card for the digital crowd) and batteries - this is a wonderful opportunity to take once-in-a-lifetime photo. Binoculars are a good bet too, as you never know when you’ll have a chance to see some of Alaska’s famous wildlife! Duration: Tour includes approximately 30 minutes of flight time and approximately 20 – 25 minutes will be spent on National Forest System Lands, for a total time of 55 minutes. Please allow up to 45 minutes for transportation from dock departure to dock return and safety briefing.